Moerat's Deluxe Travell also known as Moerat's Interstate Is passenger travell charter which is situated in Maitland , Western Cape. The company specialize in private tour trip within South Africa whereby their coaches are available for hire within a day, week or even a month. 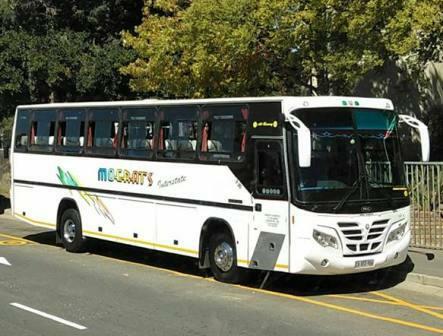 Being under the management of a well educated and talented team, Moerat's Bus Services have a mission of providing services to all groups of people within South Africa with a fair prices to all groups. No matter where you are coming from, whether you are indigenous South African or You are coming from abroad, Moerat's Bus will treat and serve you in the same way. This bus company own a modern coaches for servicing their customers in a comfort and safe manner. They own Scania bus model and MAN bus models, All of these have a Marcopolo and MCV bodies. Their buses are clean and are well maintained with the team of professional technician in their yards. 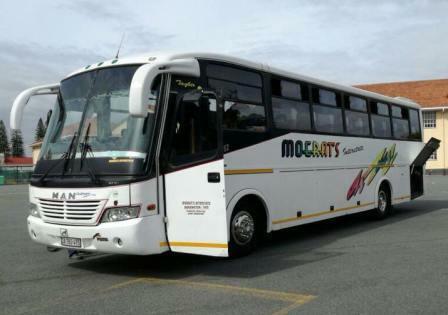 Moerat's Coaches have 2 by 3 seating arrangement with enough Legs room for you to have a comfort travell throughout the day. Their seats are reclining and they have on board entertainment for you like Television services and music player to refresh your mind with a good music. Some Moerat's coaches have an A/C services all the way long while some of their coaches doesn't provide A/C services to their customers. 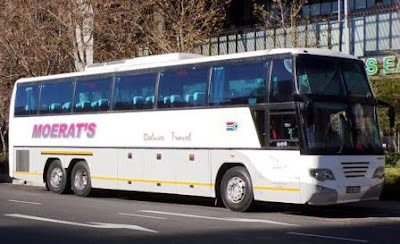 They provide Bus Tour Travell within South Africa for Tourism purpose or even refreshment purpose for Local and foreign people who are coming to visit South Africa. Their Tour Services are available on all days of the week and Customers can book them by making a call to them or even visiting their offices to plan their trips. Their Coaches are also available for Hire within South Africa to groups of people who are willing to use their services. They offer Coaches hire to Churches, Schools, Government, Institutions, Groups of People and other who want to use their services. 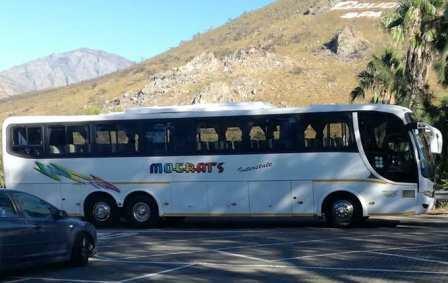 They have Mini Bus and Coaches to cater for your needs starting from a small group of people to a large group.